Losing a loved one can be a highly charged and very traumatic time. Especially when it occurs in that month of the year, February. A man, identified as Eric Bosu Simpson has had his dream of getting married fallen on rocks as he loses his wife-to-be on their wedding day. The lady, named Esaaba Morgue had not been feeling well prior to the wedding date. 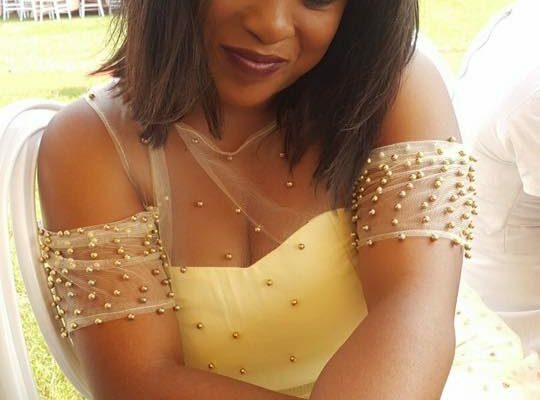 A reliable source told Ghanaguardian.com that Ms Esaaba had been coughing and complained of a chest pain. The source says she went to see a heart specialist; but after a test had been run on her, it came out that everything was fine with her, and was subsequently referred to a lung specialist for examination. On Wednesday, she was sent to the 37 Military hospital where she was admitted. The family sent messages Friday to postpone the event but unfortunately Esaaba passed on Saturday at the facility. 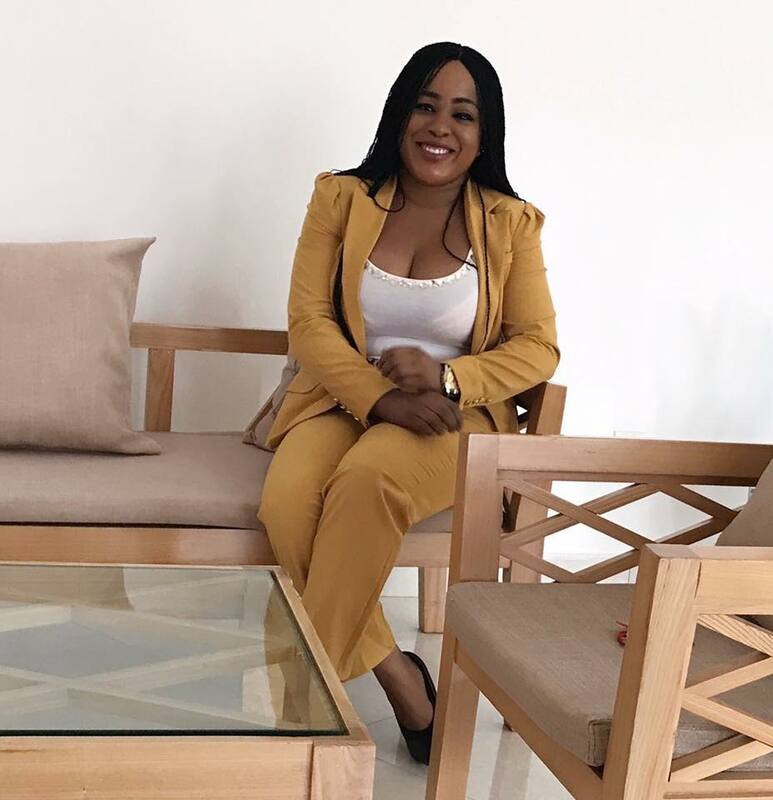 Ghanaguardian.com however apologizes for our earlier report that she died in her sleep at home. 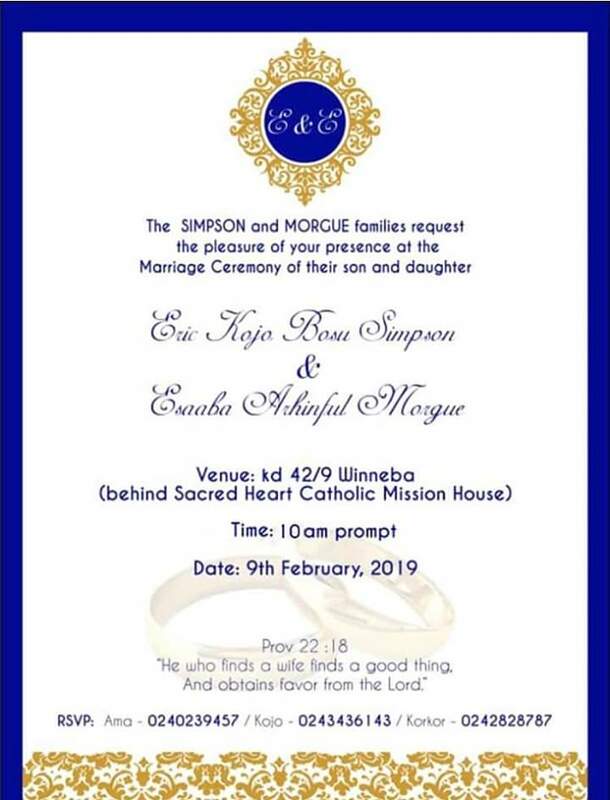 Their wedding invitation card sighted by Ghanaguardian.com indicates the marriage ceremony was scheduled to take place Saturday February 9, 2019 at Winneba in Central Region.